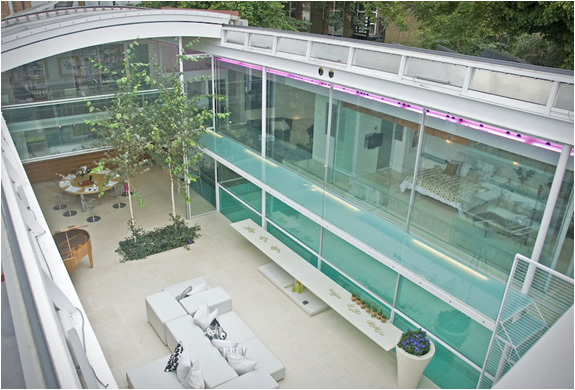 This astonishing modern house has recently been placed on the market, it is located in the heart of Hampstead Village, London-UK. 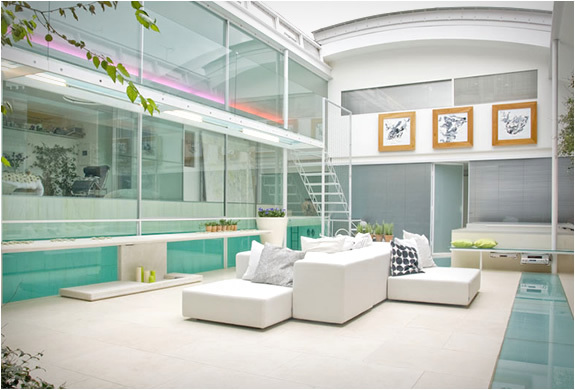 The 6,500 sq ft house was designed by renowned architects Paxton Locher and is set around a spectacular 40ft double-volume reception room. 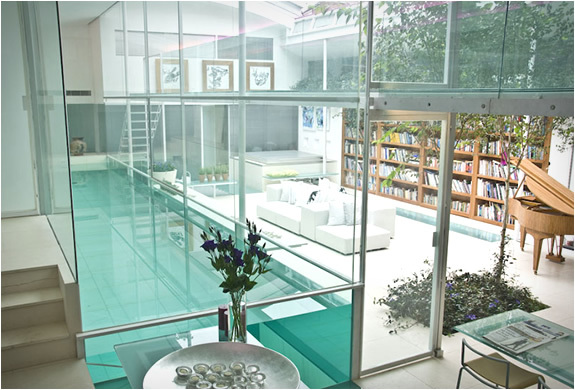 This room has two retractable glass rooflights which, when open, transform the space into an open-air courtyard. 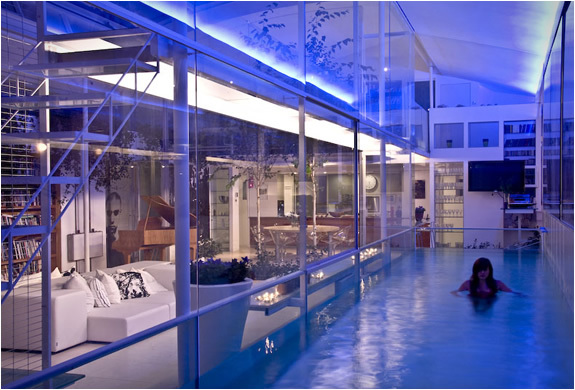 Running alongside is a dramatic custom-made glass swimming pool. 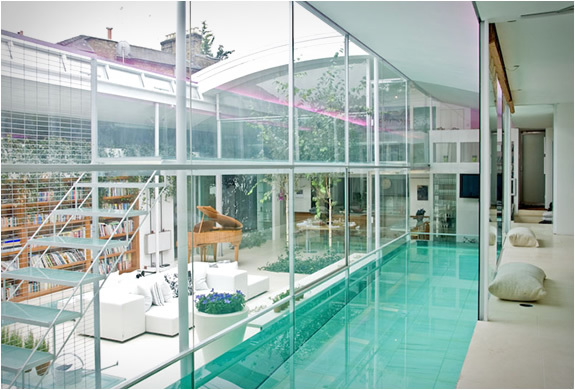 The house also features five bedrooms(the master bedroom overlooks the pool), a gymnasium, a party and media room, with high-level windows looking in to the pool.